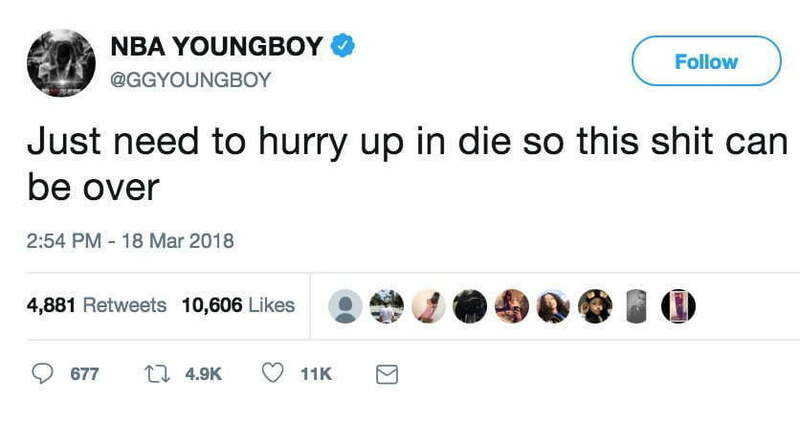 NBA YoungBoy is causing his fans to worry after sending out this suicidal tweet. YoungBoy Never Broke Again maybe out of jail but his legal troubles are far from over and it seems he is taking it pretty hard. The Baton Rouge rapper is facing a number of serious charges including gun related, assault, and kidnapping which could put him away for years. Prosecutors in his native Baton Rouge are asking a judge to revoke his probation and send him to prison for ten years. Seems his legal troubles are now weighing down heavy on him as he prepares to release a new album. “Just need to hurry up in die so this sh*t can be over,” he wrote on Twitter. Since sending out that tweet, NBA YoungBoy has been getting a lot of support from his fans telling him to hold tight because things will get better. 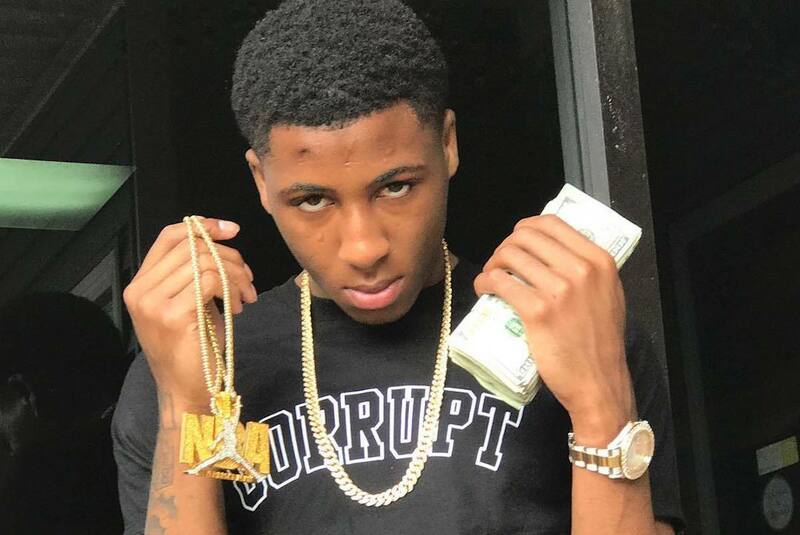 NBA YoungBoy was released on a $75,000 bond last week Friday.